Nashville, TN – Nashville Zoo is pleased to announce the birth of a female clouded leopard, Neofelis nebulosa, on Monday, February 19th, 2018. This is the sixth litter for eight-year-old parents Lom Choy, mother, and Luk, father. The couple have been paired for mating since they were one year old and have been having litters since 2011. Their newest cub weighed about 188 grams at birth. With the addition of this cub, the Zoo is now home to nine clouded leopards. 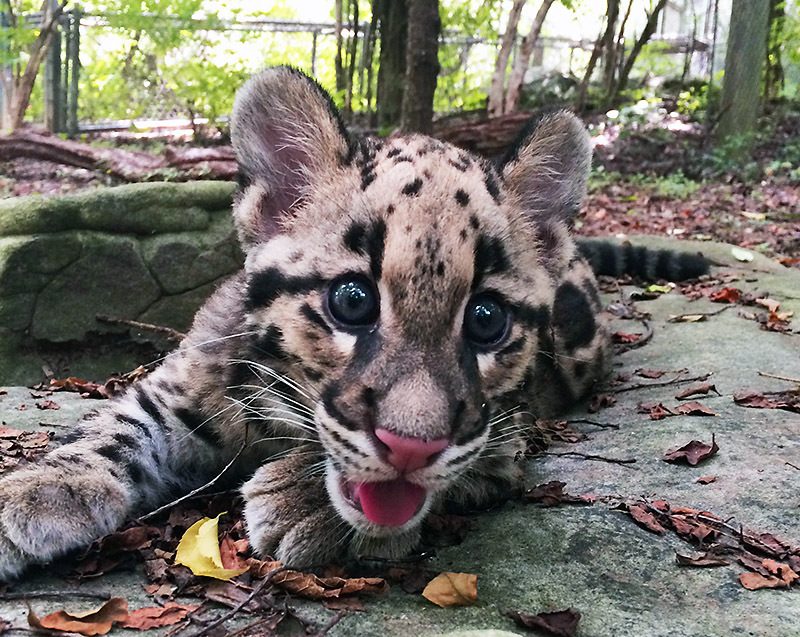 Nashville Zoo has had 32 clouded leopards born since 2009. There are currently 61 clouded leopards in Association of Zoos and Aquariums’ care and 274 globally. Pasadena, CA – One of our planet’s few exposed lava lakes is changing, and artificial intelligence is helping NASA understand how. On January 21st, a fissure opened at the top of Ethiopia’s Erta Ale volcano — one of the few in the world with an active lava lake in its caldera. 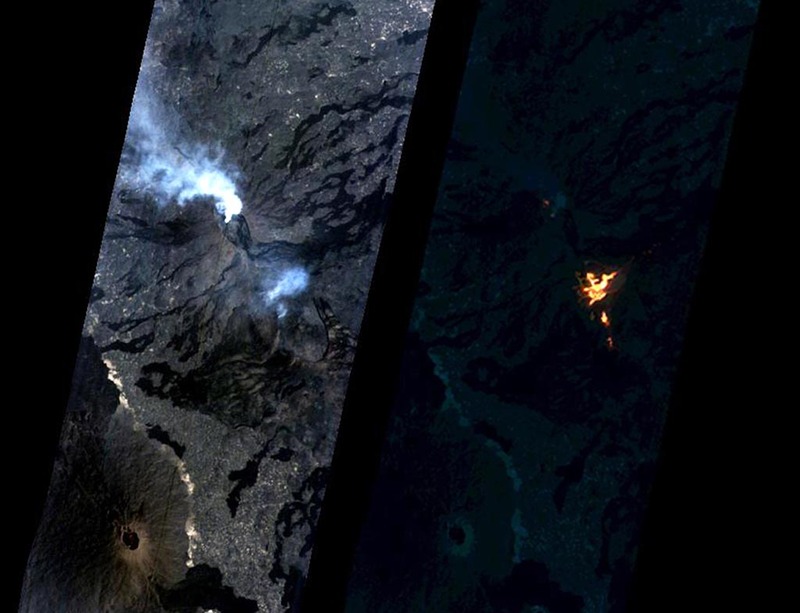 Volcanologists sent out requests for NASA’s Earth Observing 1 (EO-1) spacecraft to image the eruption, which was large enough to begin reshaping the volcano’s summit. 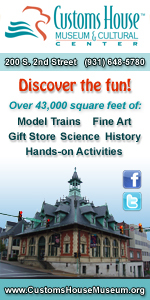 As it turned out, that spacecraft was already busy collecting data of the lava lake. Greenbelt, MD – Widespread flooding has recently caused the deaths of dozens of people in southern Thailand. 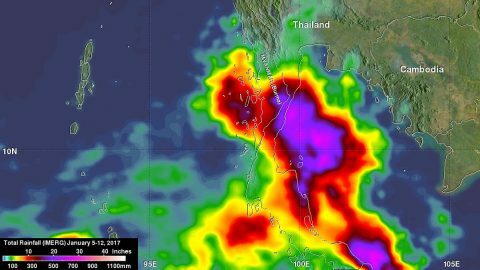 Frequent and persistent downpours have resulted in record rainfall totals and NASA calculated rainfall over the region from January 5th to January 12th, 2017. The Global Precipitation Measurement mission or GPM core satellite is part of a constellation of satellites that can measure rainfall from space. 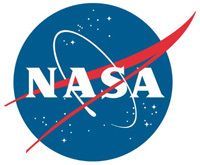 GPM is a joint mission between NASA and the Japan Aerospace Exploration Agency and the data is input into NASA’s Integrated Multi-satellitE Retrievals for GPM (IMERG) data product. 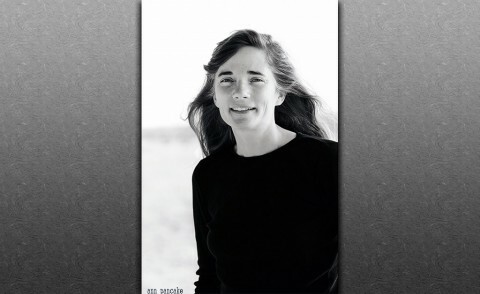 Clarksville, TN – Author and essayist Ann Pancake, a native West Virginian with a bit of a wanderlust, has traveled the world in search of a story. After graduating from West Virginia University, Pancake earned an M.A. in English from the University of North Carolina before teaching English in, among other places, American Samoa, Japan and Thailand. Even now, Pancake lives in Seattle, teaching in the low-residency MFA program at Pacific Lutheran University. 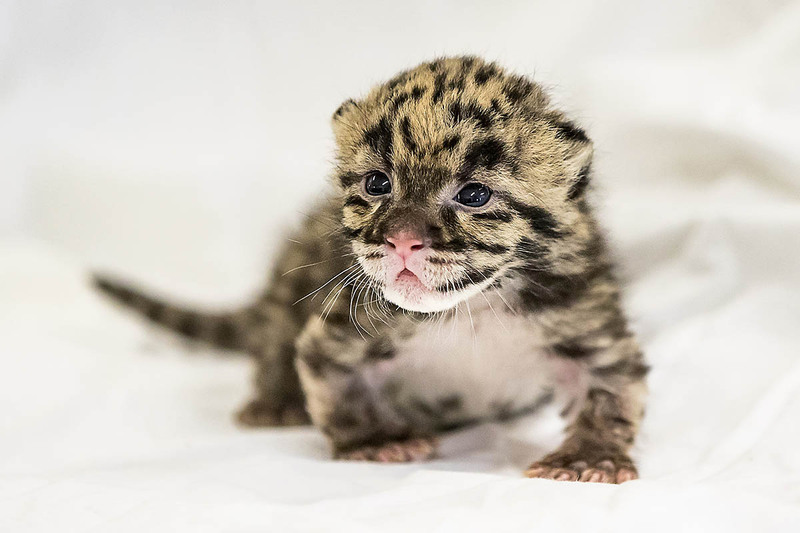 Nashville, TN – Sip Saam and Natida, the Zoo’s clouded leopard cubs born in March, are making public appearances every Tuesday, Thursday, Saturday and Sunday from 10:30am – 11:30am. The cubs can be seen at the lynx habitat, which is temporarily closed due to construction on the new Andean bear exhibit. 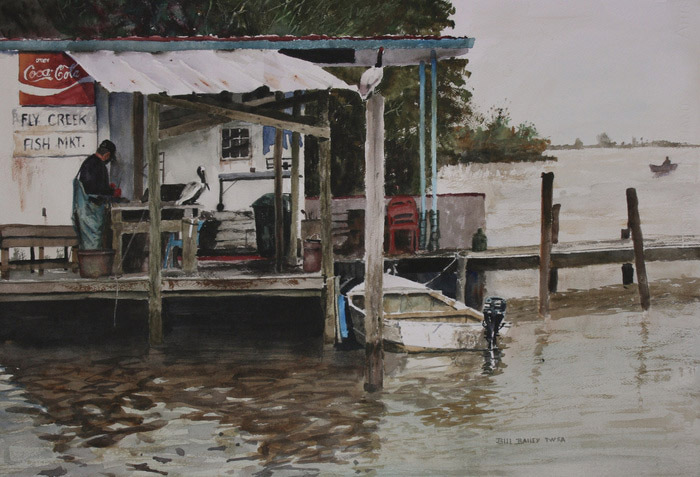 Clarksville, TN – The Customs House Museum is pleased to host the Southern Watercolor Society’s 38th Annual Juried Exhibition this May. The show features eighty-seven paintings, eleven coming from Tennessee artists. 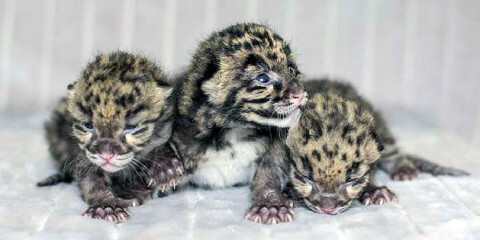 Nashville, TN – Nashville Zoo is pleased to announce the births of two litters of clouded leopard cubs. On March 26th, Jing Jai gave birth to one female cub and Baylie gave birth to one male and one female. All three are doing well and are being hand-raised by the Zoo’s animal care staff. 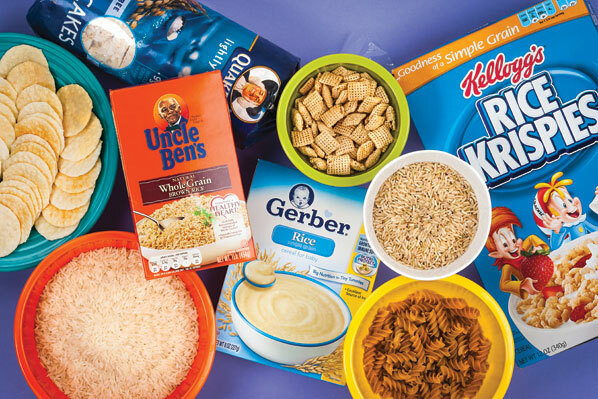 Yonkers, NY – In Consumer Reports’ tests of more than 60 rice and rice products, inorganic arsenic, a known human carcinogen, was found in most of the name brand and other rice product samples. Levels varied, but were significant in some samples. While there are federal limits for arsenic in drinking water, there aren’t many standards for arsenic in food. Earlier this year, Consumer Reports found worrisome levels of arsenic in apple and grape juices and called on the U.S. Food and Drug Administration (FDA) to set limits for arsenic in those juices. Consumer Report analysis found varying levels of arsenic in more than 60 rices and rice products. Yonkers, NY – A Consumer Reports investigation reveals that more than one-fifth of 190 pieces of seafood bought at retail stores and restaurants in New York, New Jersey, and Connecticut were not what they claimed to be – either mislabeled as different species of fish, incompletely labeled, or misidentified by employees.